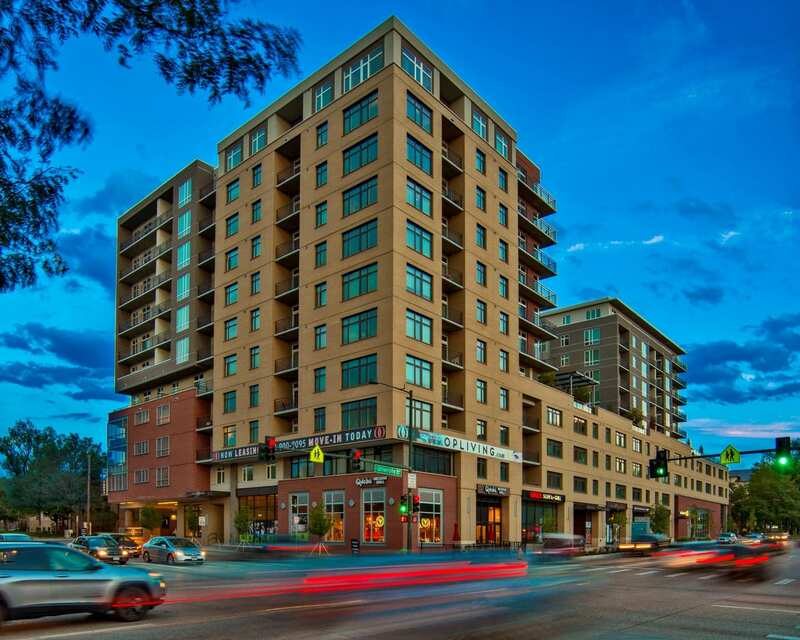 One Observatory Park near the University of Denver sold in December for $387,324 per unit. 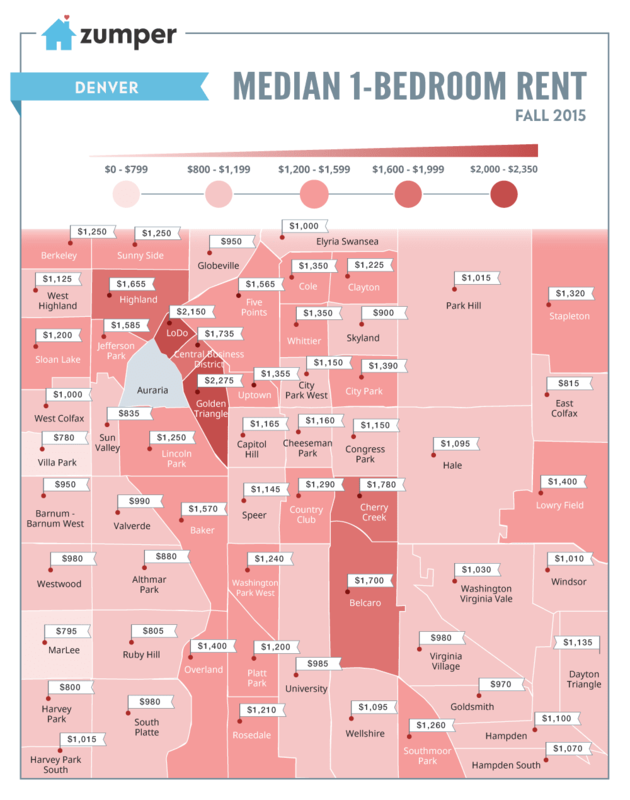 Three years ago, about 30 percent of renters in the Denver area paid rents below $1,000. That number now sits at 11 percent, as of the last Multifamily Housing Council survey. While rent increases are widespread, not all neighborhoods are experiencing the same effects as the macro environment. Using 21,000 available apartments listed on Zumper over the end of 2015, we examined which areas felt the greatest effects. Current distribution of rent prices. Rental data from the third and fourth quarters show the most expensive rents centered around the downtown area. The Golden Triangle commanded a median one-bedroom asking rent of $2,275, Lower Downtown saw a median of $2,150, and the central business district saw a median of $1,735. Other expensive areas for a one-bedroom included Cherry Creek at $1,780, Belcaro at $1,700 and the Highlands at $1,655. Cheaper areas could be found scattered across the southwest and southeast of the city, in the $800 to $1,200 range. Supply and demand. Every month we compile and analyze every active listing that hits the market across the largest 50 metro areas in the United States. Denver, in our most recent January report, was the 13th most expensive market, ahead of Baltimore, Long Beach, California, and Minneapolis. Surprisingly, asking rents in Denver saw a slowdown over the past quarter. 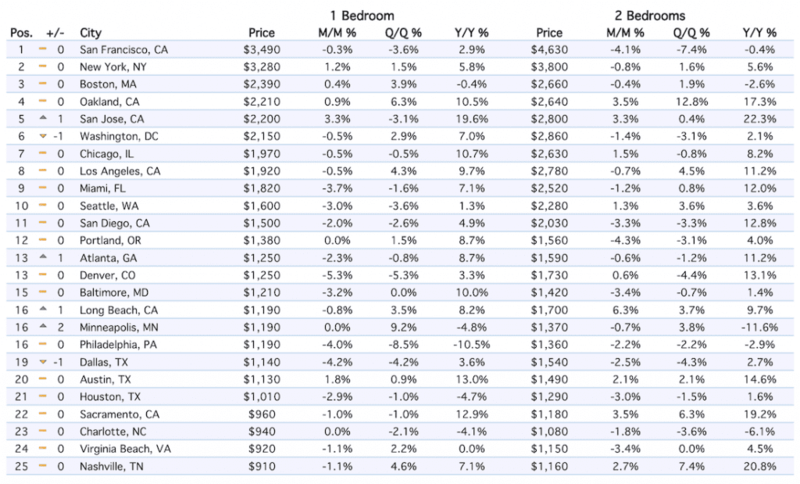 Following a strong rise during the start of 2015, prices for one- and two-bedrooms units trailed off in fourth quarter. One-bedroom units ended the year with a median of $1,250, up 3.3 percent net in the year, but down 5.3 percent in the last quarter. Two bedrooms showed a similar trend, up a substantial 13.1 percent in the year, but down 4.4 percent in the last quarter to settle at a median of $1,730. However, projected population growth is expected to remain strong. 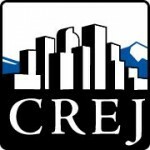 Colorado State Demography Office forecasts Denver’s population to grow to over 768,000 people by 2025, representing a compound annual growth rate of 2.2 percent per year (when compared with Census reported data of 649,495 in 2013). This far outpaces the city’s historical rate, with Denver experiencing 1.5 percent annual growth between the period of 2004 and 2014, according to the Metro Denver Economic Development Corp. Even at that level, this represented one of the highest-growth percentages in the nation. Much of this new population is looking toward the rental market. Renter households in the U.S. are growing at dramatic rates across all age groups, from millennials to baby boomers. Denver, in particular, is seeing many new millennial renters with high disposable incomes entering the market. Though this recent drop in asking rents may, on the surface, signal a softening of the market, such substantial migration and economic prosperity in the city should not be overlooked. Expect rents to continue upward this year, particularly in neighborhoods attractive to younger renters. Though new supply may curb these increases slightly, Denver’s overall growth should be enough to achieve greater rent appreciation in 2016. Featured in the February 2016 issue of Multifamily Properties Quarterly.